This is a guest post by Tracy Johnson, Special Assistant to the CEO for Health Reform at Denver Health and a CCMU board member. She works to assist with the implementation of health reform, especially delivery system and payment reform, as part of the Denver Health and Hospital Authority team. As ObamaCare enters its second open enrollment period, it has given me pause for reflection. At a recent informal reunion of Colorado’s Blue Ribbon Commission for Health Care Reform (the “208 Commission”), I learned that one staff person left her job, and with it, her employer-based coverage, and sought to purchase her insurance through Colorado’s new marketplace: Connect for Health Colorado. She said her experience was unremarkable in a good way—it was easy. We marveled that during the last six years, a Colorado-based health insurance marketplace had fully evolved from novel idea to reality. State and federal “marketplaces” – known to policy wonks as “health insurance exchanges” or “connectors” – are perhaps the policy centerpiece most identified with the Affordable Care Act (ACA) or ObamaCare. And in contrast to last year’s open enrollment period—with highly publicized technical glitches and mass confusion—this year’s has been much quieter and smoother. In the media coverage, it feels like there has been a shift in tone from skeptical (“it will never work”) to mundane (“open enrollment is upon us again”). 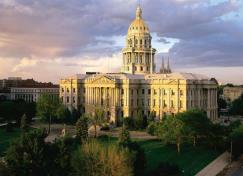 I first heard of health insurance exchanges in 2007, when I served as staff to Colorado’s 208 Commission. At the time, the policy construct was a new one for most of the staff and commissioners alike. Hatched from a conservative DC-based think tank and first brought to scale in one of the most liberal states in the US, the idea of better organizing the individual and small group markets had appeal on the left and the right. Colorado’s Commissioners ultimately considered five alternatives for designing our state-level health care reform plan. Four out of the five proposals included some version of a health insurance exchange, including the Commission’s own proposal, which formed the basis for its final recommendations in 2008. Many of the Commission’s loftier recommendations—including those related to a Colorado exchange—languished for several years for lack of financing. However, when the ACA passed in 2010, Colorado was one of the only states to pass a bipartisan bill to implement a state-based exchange. I don’t think this is coincidental and I attribute this bipartisanship, in part, to the Commission’s work. Criticized at the time as an “academic exercise” with no real prospect for success, it nevertheless played an important role in creating a bipartisan venue to discuss big ideas, to engage in important philosophical and policy debates, and to prepare health professionals, policymakers, and the public for the next iteration of coverage expansions. So, my reflections are these. Health policy does not happen all at once, but tends to follow a nonlinear path of fits and starts. Creating forums for substantive, bipartisan discussion are important to the long-term policy process, even if they do not appear to bear fruit right away. Finally, policy often takes a long time to bake, but with patience and perseverance, good ideas prevail.